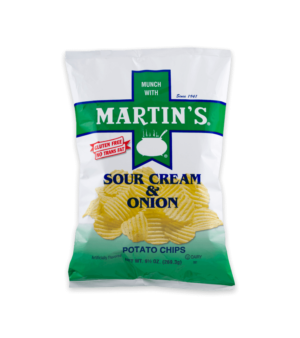 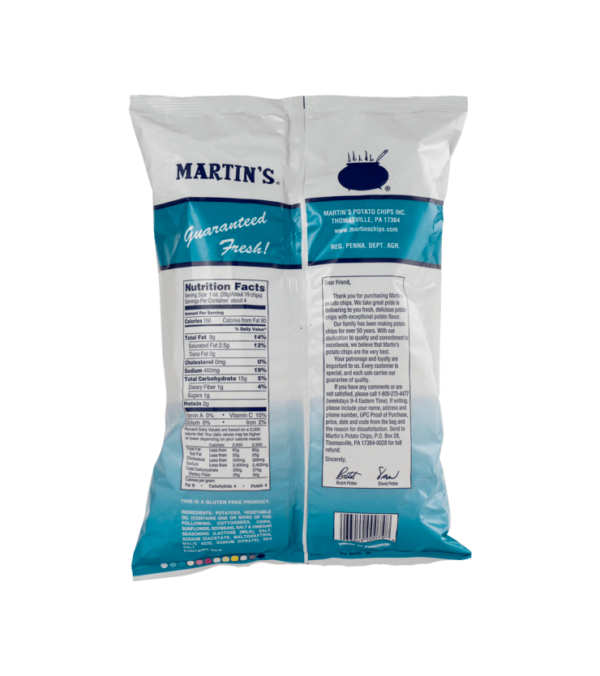 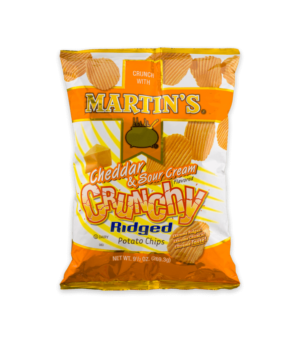 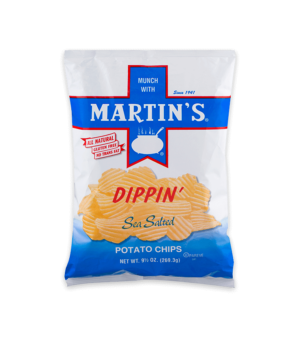 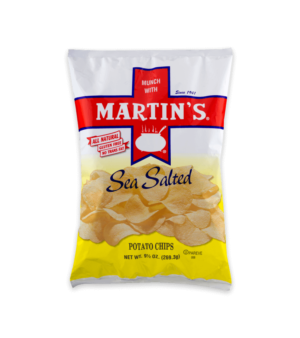 Martin's Salt & Vinegar Potato Chips are a super tasty snack that is an essential for any type of get together. The salt is just right and really compliments the vinegar without the greasy taste. 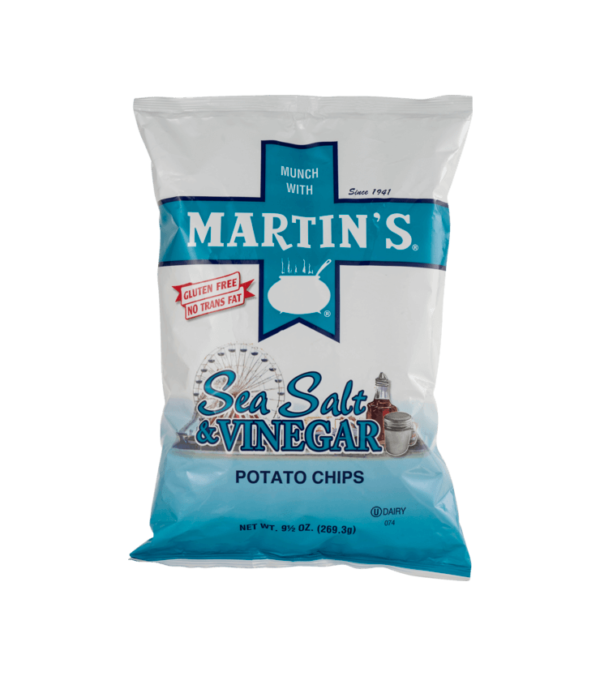 Potatoes, Vegetable Oil (Contains One Or More Of The Following: Cottonseed, Corn, Sunflower, Soybean), Salt & Vinegar Seasoning (Lactose [Milk], Salt, Sodium Diacetate, Maltodextrin, Malic Acid, Sodium Citrate), Sea Salt.